Bilal Hassani represents France for the upcoming Eurovision! Following a public vote at the Eurovision, Bilal Hassani has been announced as France’s contender for the upcoming contest. This announcement has been met with both good and bad reviews. Famous already from his YouTube channel and social media accounts, Bilal Hassani is the great winner of Destination Eurovision. Indeed, despite not being the jury’s top choice, the singer won thanks to the public vote. He managed to do better with his song ‘Roi’ than popular performers such as Chimène Badi and Emmanuel Moire. Born in Paris to Moroccan parents, Bilal Hassani relates that he has been singing since the tender age of five. The musician is also known for having participated in another contest, The Voice Kids in 2015. For that competition, he chose to give a rendition of the song of Eurovision’s previous winner Conchita Wurst. Also a popular YouTuber, he has around 800,000 followers. 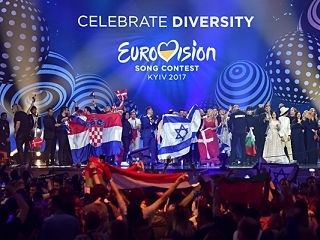 This year’s Eurovision is still a few months ahead and the final is projected to be held on May 18, 2019 at Expo Tel Aviv. The competition was originally created by Marcel Bezençon in 1956 and has been inspired by the Sanremo Music Festival. The ceremony’s hosts will be Erez Tal, Bar Refaeli, Assi Azar and Lucy Ayoub. Furthermore, Bilal Hassani’s track ‘Roi’, which earned him a spot at the Eurovision, has since reached almost six million views online. He is also projected to release an album later this year with the label Low Wood.